Dine Out Boston is coming soon from March 6-11, 2016 as well as March 13-18, 2016 in and around Boston. There are many participating restaurants throughout the city and each participating restaurant picks one of three price options. Lunch prices are $15, $20 and $25 and Dinner prices are $28, $33, $38. Prices are per person and do not include beverages, tax or gratuity. Menus are prix fixe so make sure to check out the menus beforehand online to make sure it’s something you’d be interested in. 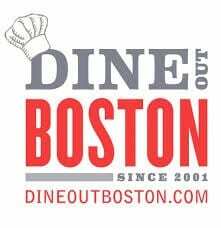 To find participating restaurants or for more information about Dine Out Boston, please head here. This is a great way to check out a fancy Boston restaurant that you’ve been wanting to try.